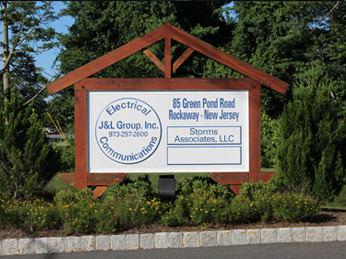 J&L Electrical and Communications Group was founded on the core principle of providing the highest quality contracting services that exceed our clients critical infrastructure and system requirements. We unconditionally stand behind all of our work with unprecedented industry guarantees. Founded in 2005, we started out performing fiber optic splicing and placing services for a large regional communications provider. Over the past 10-years, we have built a reputation of superior customer satisfaction, availability and on-time project delivery. Our leadership team has over 100 years of combined experience in the industry; and our multi-faceted staff includes engineers, planners, and project managers. In 2013 we built our new corporate headquarters in Rockaway, New Jersey. Our strategic location allows us to provide emergency and call out services for all of our clients throughout the region. Today our firm designs, builds, and maintains critical infrastructure systems for several service providers and Fortune 500 corporations. To provide Best-in-Class Electrical and Communications Services resulting in financially, operationally and environmentally successful projects for all of our clients. 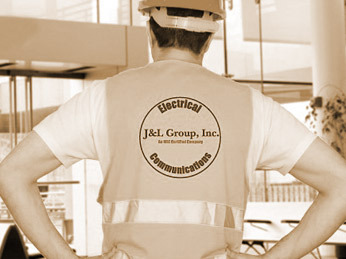 J&L Electrical and Communications, Inc. provides equal employment opportunities (EEO) to all employees and applicants for employment without regard to race, color, religion, gender, sexual orientation, national origin, age, disability, marital status, amnesty, or status as a covered veteran in accordance with applicable federal, state and local laws. 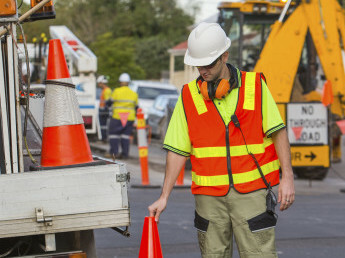 The welfare and safety of our employees is the primary concern to our firm. At J&L Electrical and Communications Group we feel that all accidents and injuries can be prevented. It is our policy to provide and maintain safe and healthful working conditions, and to follow operating practices which will safeguard all employees; which will result is safe working conditions and efficient operations. Mr. Garcia has over 26 years’ experience in the electrical and telecommunications industry, which includes over 18 years in executive management. Since forming the company he has been instrumental in securing several major business relationships with Fortune 500 Companies. George is responsible for overseeing overall operations and setting the strategic direction for the company. George is a graduate of the State University of New York and a member of Santiago Iglesias Educational Society. Ms. Garcia recently graduated from Montclair State University with a Bachelor’s Degree in Humanities, and a Minor in Business Administration along with a Certificate of Entrepreneurship. While at Montclair State, she also won a “pitch competition” for a company she invented . Alexa is supporting our daily Business and Billing operations. Mr. Hogan has over 23 years’ in the telecommunications and distribution industries, which includes over 14 years of executive management. Jeff has extensive knowledge of all aspects of infrastructure management in the telecommunications, distribution, and energy industries. Jeff is a graduate of Monmouth University where he obtained a Bachelor’s in Business Administration. Mr. Fahey has over 18 years’ in the telecommunications, electrical, environmental, and transportation industries. William has extensive experience in large and complex construction projects in the telecommunications, electrical, environmental, and transportation industries. William is a graduate of Long Island University where he obtained his Master’s in Business Administration, and also holds a PMP certification in project management. Ms. Crossley has over 26 years’ in the healthcare, insurance, brokerage and environmental industries. Karen has extensive experience in business operations, financial reporting, and accounting. Karen is responsible for the management and reporting of all financial aspects of the company. Karen is a graduate of the County College of Morris with concentrations in Business Management and Accounting. Mr. Wolf has over 18 years’ in the electrical, construction, and telecommunications industries. 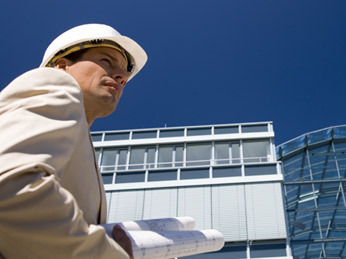 Kevin is a highly accomplished professional in the areas estimating and project management. Kevin is responsible for all estimating, specification, bidding, and electrical proposal submissions for the company. Additionally he is responsible for the project management and field coordination of our electrical practice. Mr. Kabir brings 14 years’ of telecommunications engineering and construction management experience to the J&L Group. Mohammad is responsible for OSP project management and daily operational. Prior to joining the J&L Group, he served as an Outside Plant / Right of Way Engineer for former Bell Atlantic, OSP Engineer for Verizon Business. Mohammad received a bachelor’s degree from Chittagong University in Bangladesh. Mr. Peters is a seasoned senior executive and telecommunications industry veteran. In this role, Kevin is providing guidance on our growth strategy and driving continuous improvement in our operational performance. Kevin earned his Bachelor’s from Fairfield University, Masters of Science from Stevens Institute of Technology, and his M.B.A. from Columbia University. Boys & Girls Clubs of Hudson County • March of Dimes • Hope House Food Pantry • Yorktowne Club • Market Street Mission • Partners in Faith • Scotch Plains Renegades • Immaculate Conception High School • St. Mathews School • Morris Catholic High School.